Hot drinks are good for cold and rainy season. 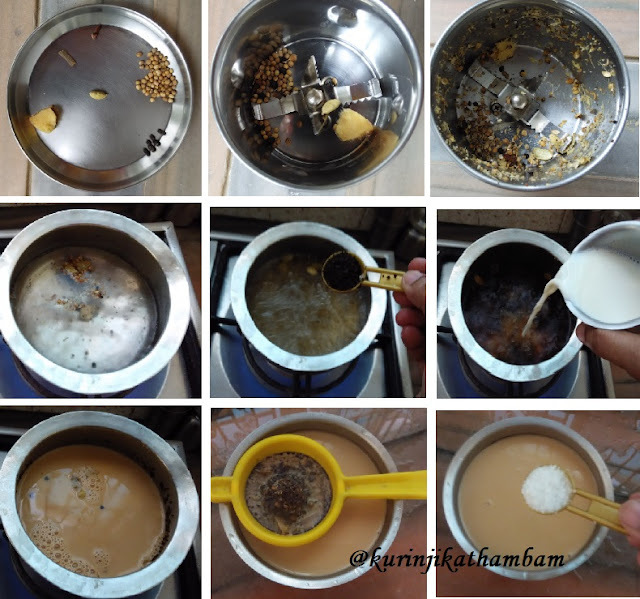 Masala tea is very simple and easy to make but the spicy taste makes it very energetic than normal tea. 1. 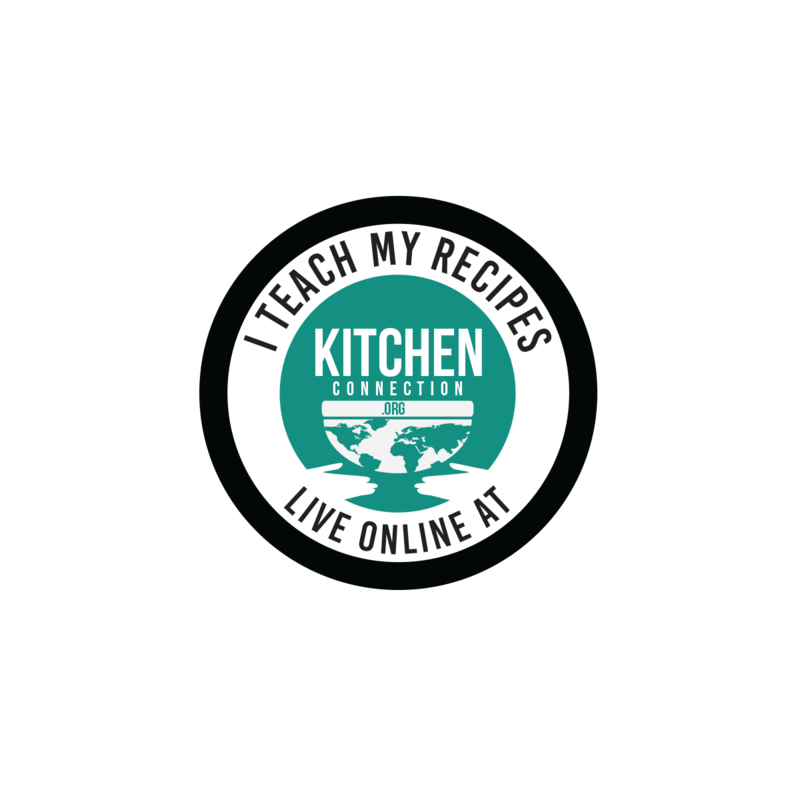 Grind the coriander seeds, cinnamon, clove, cardamom, pepper corns and ginger into a coarse paste without water using the mixie. 2. Bring the water into boiling point and then add the ground paste (from 1) and allow it to boil for 5 mins. At this time, close the lid of the pan. 3. Then add the tea power and allow it to boil for 2 mins. 4. Now add the boiled milk and bring the mixture into boil and switch off the flame. 5. Strain the tea mixture using the strainer. 6. Add sugar and mix well until sugar dissolves. 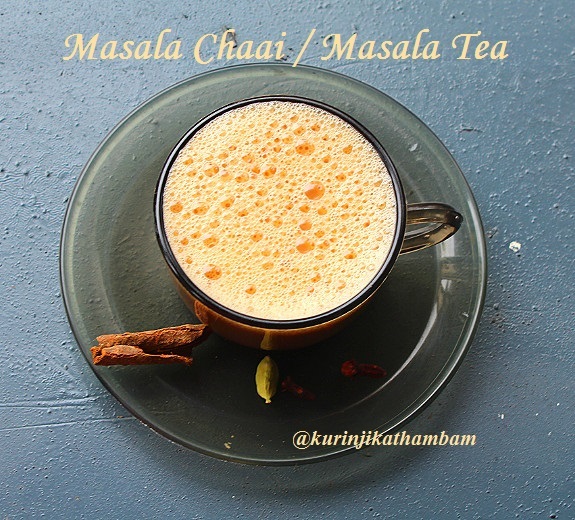 Yummy and tasty Masala Chaai is ready. 1. Adjust the sugar and tea powder level according to your taste. @swathi goyal and Anonymous: taste was good and you get aromatic and healthy tea.